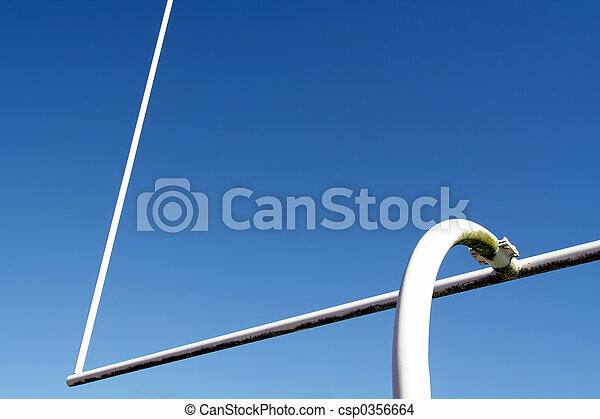 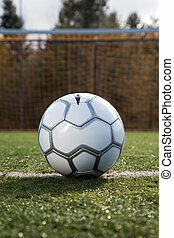 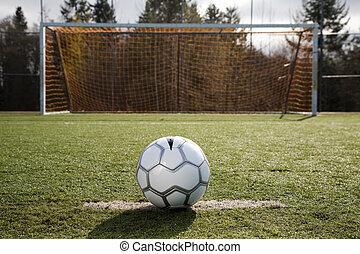 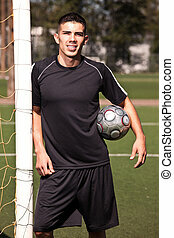 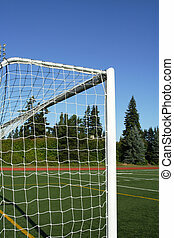 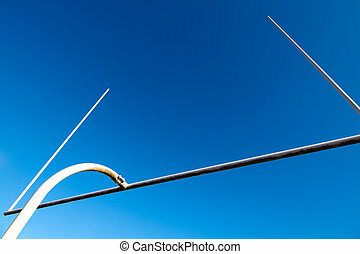 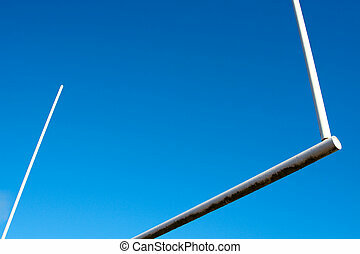 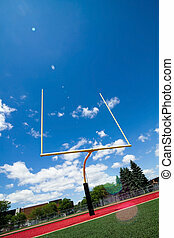 Football goal post. 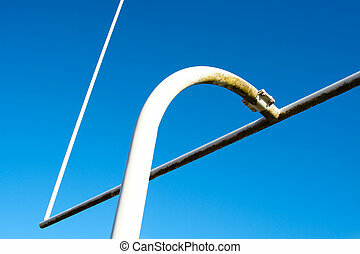 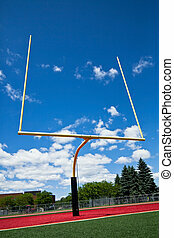 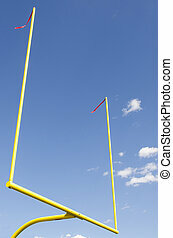 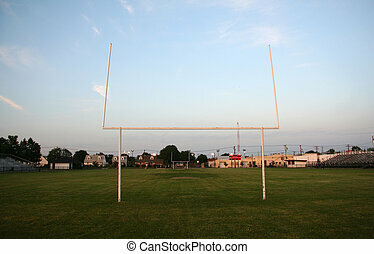 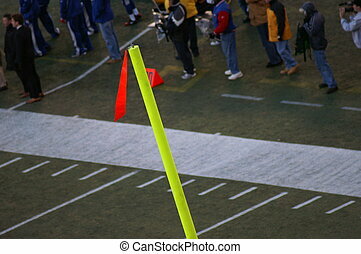 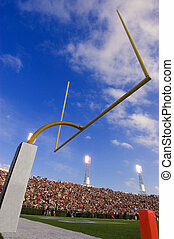 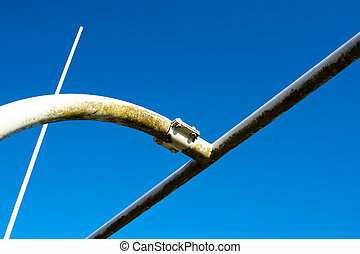 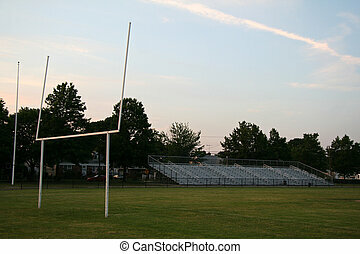 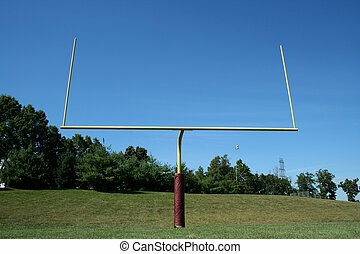 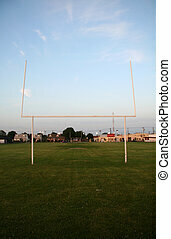 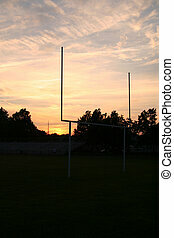 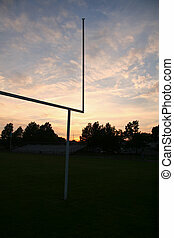 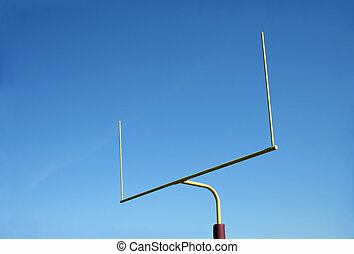 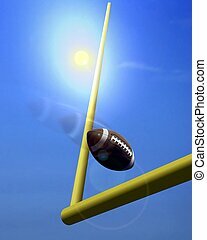 American football goal post. 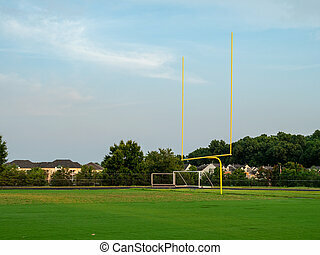 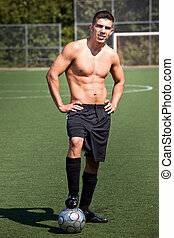 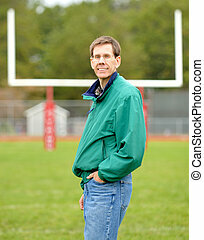 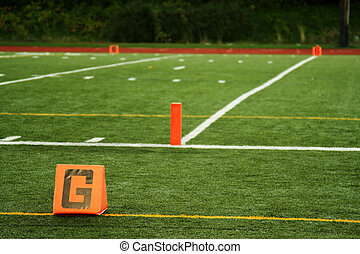 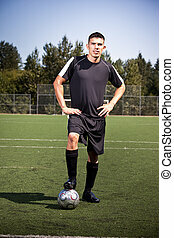 A man standing on a football field with the goalpost behind him.